.....and I'm not banging on about this blog. I am talking about Maggie's. I picked up something was going on in late 2013 when wandering down the Uxbridge rd on one of my Ealing bimbles (BTW "bimble" is a word invented by my parents to mean wandering aimlessly with the ultimate goal being food and usually a pub - I bimble a lot). Anyway I strolled past Pizza Hut (not on my bimbling agenda) and saw the 80's signage had been ripped down (hurrah!) and the site was mysteriously encased in a hoarding carrying the above logo. Needless to say I was intrigued! Having done some, admittedly pretty basic, detective work I found them on Twitter and was told they were opening in January. So here we are, it is January and they are open. Hello, this is my first post on my new blog that will be all about.......*drum roll*....Ealing. 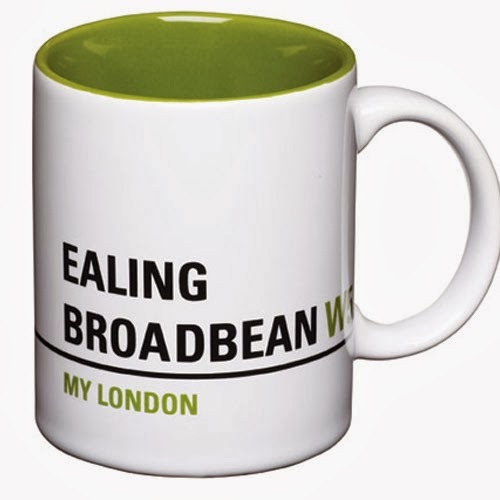 I have lived in most of the main areas of Ealing - the South bit kind of near the Common, the Central bit in the thick of it (NB I would advise anyone looking to move anywhere NOT to move in the middle of a Fire and a Police Station, well not if you want any sleep!) and we're now settled a bit West next to one of the beautiful parks. The honest truth is that I love it all and find it impossible to choose my favourite bit because there is so much that is totally brilliant. Also, I think this is a really exciting time for Ealing - we have new restaurants, pop-up shops, facelifts to the old retail sites, births of new retail sites as well as the prospect of a new film quarter more about it here AND (phew, sorry had to pause for breath there) not to forget the Cross Rail development.